Adobe InCopy is a word processing program that integrates with Adobe InDesign. It is a fully functional word processor but is rarely used without InDesign. "Doesn't Go Above & Beyond"
InCopy is basically a simplified version of InDesign. It allows you to do the bare minimum in regards to editing files. In some ways, this is beneficial because it prevents an InCopy editor from making any adjustments to the design or altering things that the original designer/creator wouldn't want changed. I wish InCopy allowed you to make other minor design edits if the InDesign file owner allowed it. Some changes would be easier made if they were just permitted in InCopy. If you only need the ability to edit, it's a great tool. It's not good for making design adjustments. It's also great if you have multiple people who need to edit the same file. Anyone who knows how to use InDesign will be able to use InCopy in no time. If you've never used InDesign, it will require a little bit of training and getting used to. Easy to edit simultaneously along with others in the same file. "Work Seamlessly and Simultaneously with Editors on Large Print Projects"
As a designer, by far my favorite thing about InCopy is that it allows me to work on a print project seamlessly with my editorial team from start to finish. InCopy allows the editor to open the file and see the layout a designer has created, while at the same time allowing the design team to tweak layouts if needed to fit editorial copy or vice versa. These two parts of the process, that sometimes have to be done one after the other, can happen at the exact same time, maximizing product and team efficiency. Sometimes InCopy can have issues updating, which means that my editorial team will not see the layouts I've created once they open a given InCopy file. This in turn means that they can't edit content to fit a layout properly, and have to use more time to go back and make tweaks at a later stage of the process. Fixes to these issues usually involve the designer manually updating and refreshing links in the Assignments palette, and sometimes restarting the Adobe InDesign program. Similar to what I recommend to users while using all products in the Adobe CC Suite, I would recommend that users keep files organized. Nothing is more essential than keeping file names brief, to the point, and clean when working with multiple people on a project. In our files, when linking a body of text to InCopy, we keep names clear, concise and instructively easy to follow, as they relate to content location on a given page or design and must be located quickly by the InCopy user. We use InCopy on a daily basis to create large scale print guides, magazines and sometimes even sales collateral (when it has a lot of text that requires editing by the editorial team). Without InCopy, we would lose time and efficiency on projects, and increase (perhaps exponentially) the margin for error in spelling, capitalization and all around editorial content value. 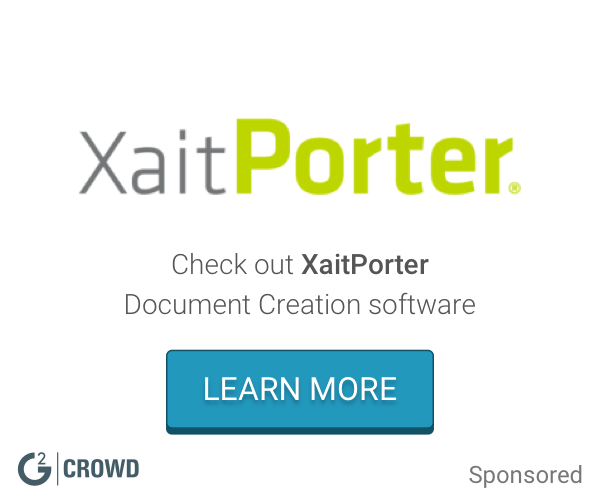 What Document Creation solution do you use? Ability to adjust photos, captions and other "display" elements without interrupting the design process; individual check-in and check-out features; the ability to assign stories and elements to other team members; in-depth inch counts in Story view; addition of the eye-dropper tool to newest versions. Tracking can be a bit slow; the inability to change the color scheme (including the "overset" menu, which is hard to read for our color-blind colleagues); difficulty copying text when "notes" appear within a particular body of text; tables are clunky and difficult to edit; it would be nice to be able to relocate text boxes up or down a gridline from inside InCopy (especially if a little extra space is needed during the editing process). This is great for assigning and tracking copy across multiple locations. For centralized operations, there are better and cheaper options. But for the modern business, it certainly meets requirements. Editing stories, boxes and special projects from design centers in Dayton, Ohio and West Palm Beach, Fla.
"Incopy focuses on writers needs "
Always visible, real time line and word counts, and configurable word substitution. Both Designer and and editor can work at the same time in the same document. Not everyone uses it. I have to go out my way to get other users to use this application instead of indesign. If you need a program that is tailored for writers. InCopy is the beast application in my opinion. I have tried many products buy nothing is quite as satisfactory. The biggest problem we solve using this program is overall communication. I can make changes in real time , and everyone would be able to see it. These is also a smooth transition when working from a InDesign document from the designer. The collaboration tools are really fantastic when working with a team. I use this primarily for large document and report writing and find that the app is really quite uncluttered and streamlined. Assignments section is very helpful. I find the ability to create an assignment for a college to be an exceptional tool. Really help when co-writing and waiting for input. Notes-mode is helpful for tracking unique thought and ideas. It seems a bit unnessessary. I have used inCopy when writing a lot without the design in place in InDesign. And it works great for that. However I think alot of people will use Word and that works well too. Little too simple maybe. This is both a benefit and a dislike. The simplicity helps me focus on the words, while it also causes me to run out to the web or other apps to get some tools i need while writing. I think if your already using Indesign and other Adobe products InCopy is nice that it integrates with those. If you have a multi-disciplined team that doesn't all subscribe to AdobeCC it likely isn't necessary at all. Provides a repository for large works that are still in the early stages of development. Often used for team writing where deadlines and assignments come in handy. Great as a preparation tool for InDesign documents. "Helpful Tool For Big Projects"
I like that I can make text changes without having to get my design team involved. I wish I could make more design like changes without having to get my design team involved. Like all Adobe products, the more you use it - the more helpful it will become. We use InCopy for our yearly media kits. Our design team creates the main document and then puts it into InCopy so I can make edits and changes. I don't have to keep marking up PDFs and sending them back - I can just change it in InCopy and let them know it's good to go. "Easy to use and dependable"
Like most Adobe programs, it's nearly impossible to open and revise a file created in an older format. It would be idead if you could open up something made in CS5 in CS6 for instance. With Incopy it's easy and fast to create and format professional copy. Speed is essential because I'm dealing with a lot of copy. "The perfect companion to InDesign ." It allowed us as writers and editors (academic team) to work on a document concurrently with the designer. A new hyperlink feature let us quickly add links to text on-the-fly via the new hyperlinks panel. We could link to other pages in a long document, to external files, or to Web URLs. We could also then test the link from within InCopy which is amazing. It had several interface enhancements. The Application frame encloses all of your InCopy documents and panels within a single window to block out background distractions. InCopy also has management tools we used to control what part of the project each team member is working on. It doesn't have the ability to accept or reject a document’s tracked changes globally you have to do it just story by story which takes a lot of time if a document has many stories so allowing this option will save a lot of time. InCopy is a great word processing program that is integrated with InDesign and simplifies collaboration. If you're working with a team or on your own on an InDesign project, InCopy is a great asset and is worth trying. If you just need a basic word processor, there are more suitable options available. When we would have really tight deadlines we'd have to word simultaneously with other committee members. The designer can work on the page layout while the writer simultaneously creates or edits the content. It was very helpful too when we need to update marketing handouts, brochures or posters it saves us a lot of time. "Easy interface. I (a designer) work on project with my editor using InCopy"
Multiple people can work on a project simultaneously. By updating links each time the document is opened, it reflects the changes. It's hard to edit design elements because it treats all text boxes as editable. If you want to duplicate a header to see what it would look like in a different font or color, you would need to export the additional text box as another text file. Highly recommend for larger publications. Designer definitely needs to check formatting, sometimes edits create orphans, widows, overflow, etc. We use it in higher education marketing. "Integrated way to edit easily"
I love the fact that you can edit multiple elements of the document as well as use other Adobe products without lags. Some of our computers seem to work slower with the program but we can't identify the cause, and requirements aren't specific enough. The software, togetgher with Adobe Creative Cloud is our best choice for designing and especially updating marketing and internal tools with design features. When we update a marketing tool (brochure, document, translation, etc.) the software saves us a lot of time. I love the real time editing capabilities that InCopy allows for, it really makes group work a piece of cake! The collaborative space is tailored towards those who are wanting to have multiple changes but not have to continually access just one file. What would make it more user-friendly would be providing more tools for change, it does feel pretty limited as of now. It doesn't necessarily show you when changes were made, which would be nice. We use this software for quarterly marketing where I design the main document and then it's dropped in InCopy for other collaborators on my team to edit it. "Great for book layout, makes it easy to work as a team"
Very user friendly. Allows my team to all share and edit a document. This totally changed how we work as a team to edit copy. Sometimes it will say someone has the item checked out - when they don't. Which can take some time to figure out how to fix. We can all edit items safely without stepping on each other toes. Also tracks changes. "Incopy is more useful than we realized"
I love that Incopy can allow designers to edit copy but it can also allow copywriters and proofreaders access to the copy without disrupting the design. This is especially handy when reviewing. It saves the step of annotating copy and having the designer make the change...the proofreader or copy editor can do it! Not as easy to learn as I'd like it to be. definite benefits of speeding up the review process. Gives the copy folks access to see, in layout, how much room there is for copy. "Easy to use and a great option for teams needing to work in the same file at once." I like how I can work in the file at the same time as our designer or other editors. The notes feature is great, but it is sometimes difficult to find the notes. This is something that could use improvement. We're able to work in files at the same time through the use of InCopy stories and how they work together with InDesign. "Unique product offering for enterprise news agencies"
Real time editing of design files for non designers to put in words. If you're in the Adobe stack this is a no brainier, as much as copywriters might groan. Two people can work on a page at the same time. * We monitor all Adobe InCopy reviews to prevent fraudulent reviews and keep review quality high. We do not post reviews by company employees or direct competitors. Validated reviews require the user to submit a screenshot of the product containing their user ID, in order to verify a user is an actual user of the product. Hi there! Are you looking to implement a solution like Adobe InCopy?